As a technology company focused on driving innovation and more value for the professional photography market, we are continuously listening, researching, and attending industry events to make sure we are on top of this quickly changing market. 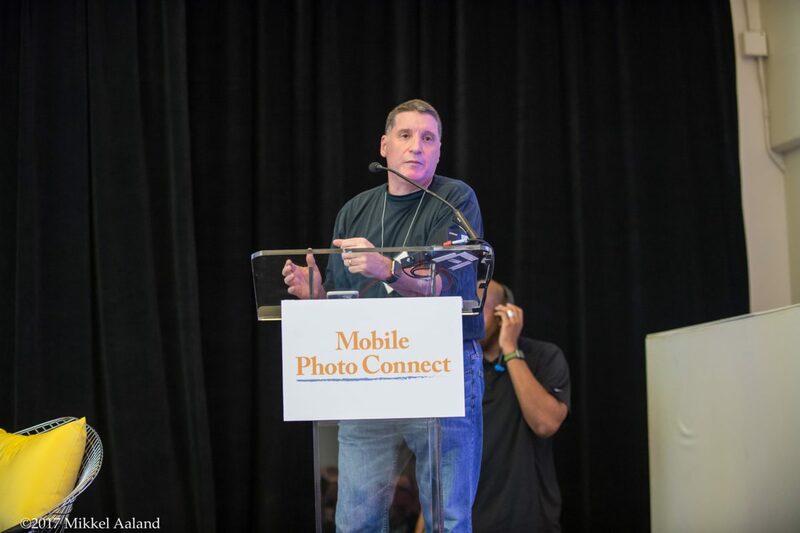 One of the industry events we look forward to the most is Mobile Photo Connect due to the focus on mobile technology trends related to photography. We had the opportunity to be among many technology companies that spoke and shared photo technology at this year's event and we wanted to share our observations and insights about what we saw. The bottom line is that photo and video technology is changing at a lightning pace and the businesses that leverage the latest tech and consumer trends will have a very exciting and lucrative future. Here are some key takeaways. The term artificial intelligence (AI) may conjure up thoughts of sci-fi movies like Steven Spielberg's Minority Report, however the impact this tech is making in the photography industry is far-reaching. AI allows the content of photos and video to be analyzed in ways that provide tangible benefits for photography businesses. For example, as the image below illustrates, photos can be analyzed to extract a wealth of data, such as recognizing objects, faces, the age of subjects, and even mood. Harnessed in the right way, there is valuable context that can be used to recommend products that are most likely to be purchased by the consumer who owns those pictures. Facial recognition is another form of AI that has become incredibly accurate and powerful. There are many practical examples of how pro photographers can leverage facial recognition to drive more business. For photographers that shoot high volume events like high school or college graduations, facial recognition can be used by parents who provide a sample photo of their graduate to automatically retrieve all of the photos they appeared in during the ceremony. Consumers have an insatiable appetite for social media and sharing, which is why digital photos are so valuable. Just as the print industry has evolved over the years to include a dizzying array of products that consumers love, there is an emerging catalog of digital products that could represent the next wave of monetization for pro photographers. There seem to be new products and digital services coming out every week that will enhance photos or transform a single photo into many interesting variations that provide consumers with more options to purchase. Image Enhancement - One of the most valuable services photographers offer is professional editing of images using tools like Adobe Lightroom that make an otherwise ordinary image look stunning. There are new technologies that do a fantastic job of automating these enhancements, including color correction, teeth whitening, blemish removal, and many other techniques. For high volume or event photographers where quality and speed are important, these automated algorithms can drive real value. Augmented Reality (AR) - Let's put this in the category of "it will be interesting to see what happens." AR is defined as a technology that superimposes a computer-generated image on a user's view of the real world. 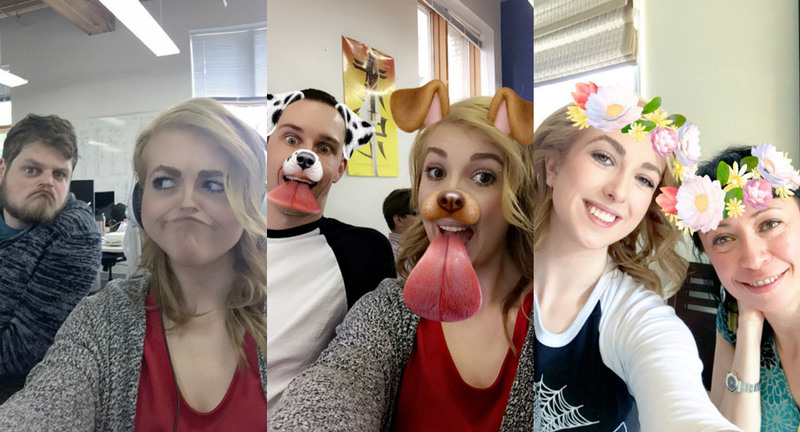 For anyone who's followed the success of Snapchat (now Snap! ), Pokemon Go, the iPhone X release, or Facebook's new Camera Effects Platform, you know that augmented reality is making its way into millions of people's daily lives. While many applications of AR are meant for fun social sharing, like the Snapchat example below, there are many ways that photographers can blend computer-generated content with photos and videos to create new products. Imagine placing your kid on the court with Lebron James! Much of the professional photography industry is stuck in a traditional, print-driven monetization model. The problem is that prints, while valuable, are a one dimensional, dead-end transaction. It was obvious from the companies represented at the Mobile Photo Connect event that the right digital and print strategy will unlock much more revenue potential for photographers. One clear trend is that native apps are where dollars are being spent by consumers. Native apps are persistent, deliver an immersive user experience, and make purchasing and enjoying rich content simple and even addictive. Another trend discussed by a panel of mobile print solutions confirmed that more and more people are purchasing their print products through mobile. Consumers want convenience and given that millennials spend on average 5 hours a day (yes, you heard that right!) on their phone, if you're not selling print products through a mobile app, you are losing business. Because we at CaptureLife are already leveraging some of these exciting technologies in our platform and are working to incorporate others, we left the event more energized than ever. Photographers should see this rapidly changing technology landscape as a huge opportunity to drive more business.